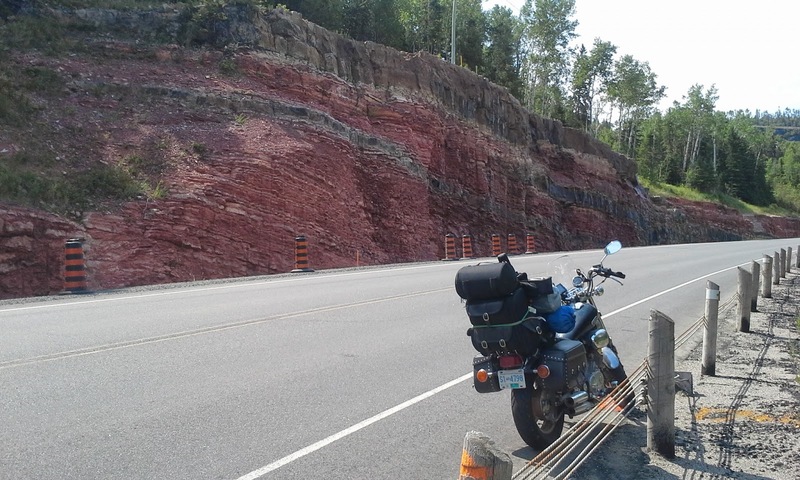 Sat, 05 July 2014 - Rocks and Trees! There has been a lot of riding since my last entry! First at Winnipeg, I drove a go-cart for the first time in 40 years or so (first time ever not a home-built on a back road in Agassiz ;) ). It was fun, but hard on the wrists. Then I looked for a place that served perogies (Winnipeg is the Perogie Capital of Canada, isn't it?) but had to settle for seafood instead. Next morning, I felt like riding. I hopped on the scoot and headed East. Easier said than done, when part of the Trans-Canada Highway in Winnipeg is a side-street with a traffic-light on EVERY block - and every one red. One thing I did achieve was I went over the "Atlantic Watershed" (elevation 504 meters). 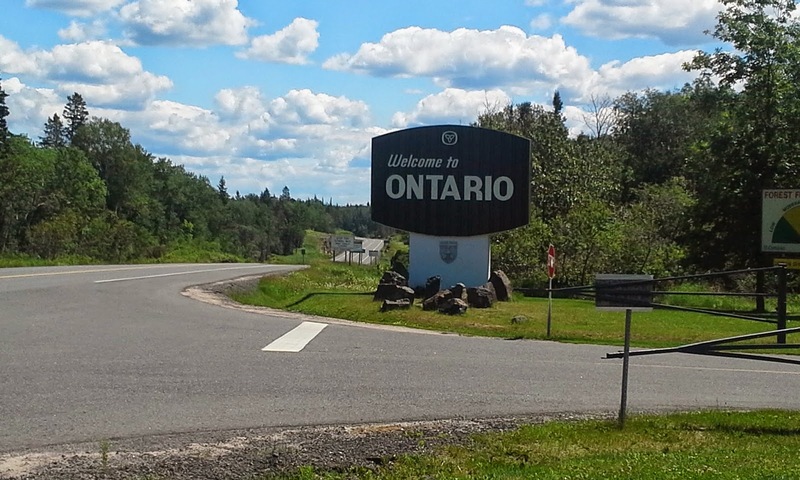 I guess this is Ontario's answer to the Great Divide (which of course is in BC!). And 504 meters is PRETTY high... but it still needs 1100 meters or so to get to the Great Divide. 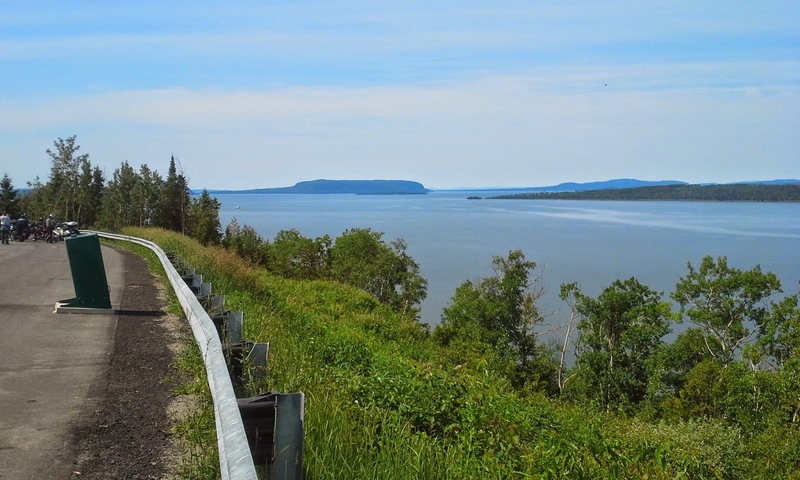 Downhill from there to Thunder Bay, where I took a motel room for the night. And the wind coming off Lake Superior was COLD!!!! ColdColdColdColdCold. I froze my preverbials off until I got to Marathon and got some hot food, some hot coffee, and added a few layers. Then it was much more comfortable and easy riding to Sault-Ste-Marie, where again I opted for a motel. 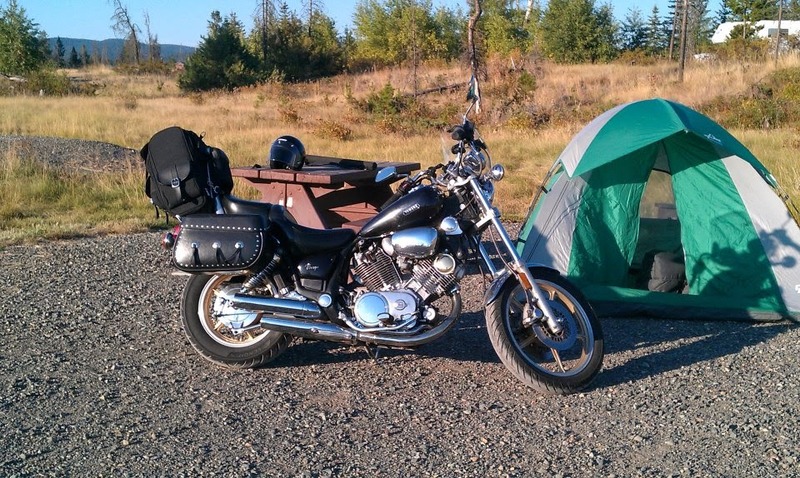 One thing that was Interesting: I filled up at a small gas station just outside Sault-Ste-Marie, and the guy there said there was ANOTHER Virago, from BC, heading across Canada, about a day or so ahead of me! So, someone's stealing my thunder? 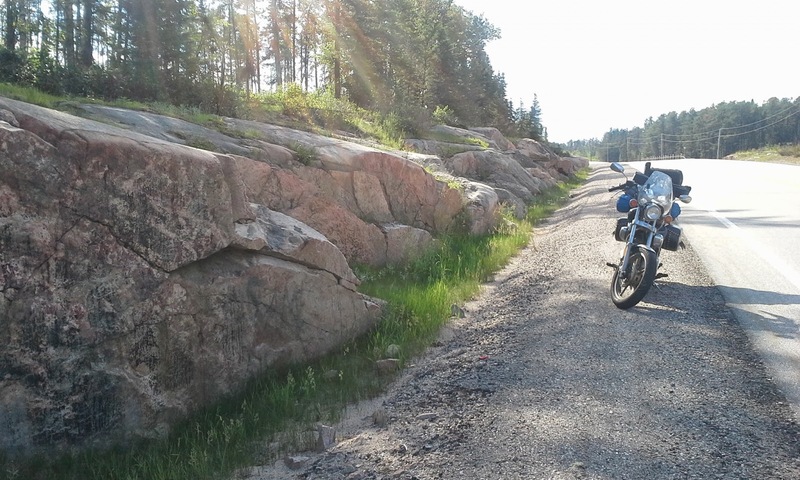 Next day I still felt like riding but all this "Rocks and Trees" stuff reminded me of the Arrogant Worms "Mounted Animal Nature Trail" ( https://www.youtube.com/watch?v=SawuKi0lvs0 ). 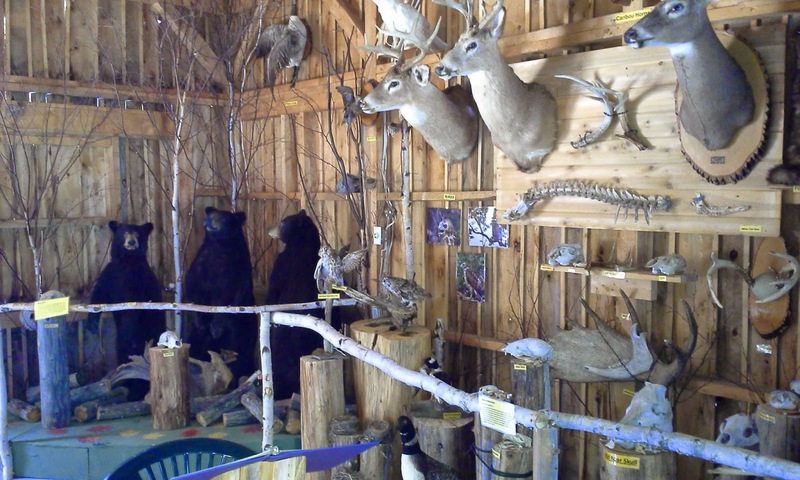 So off I went to Manitoulin Island only to find it was now "Gordon's Park and Nature Trail" and they kept all the stuffed animals in a small building. They said it was too hard to keep them up outside. Oh, well, still a nice campground.